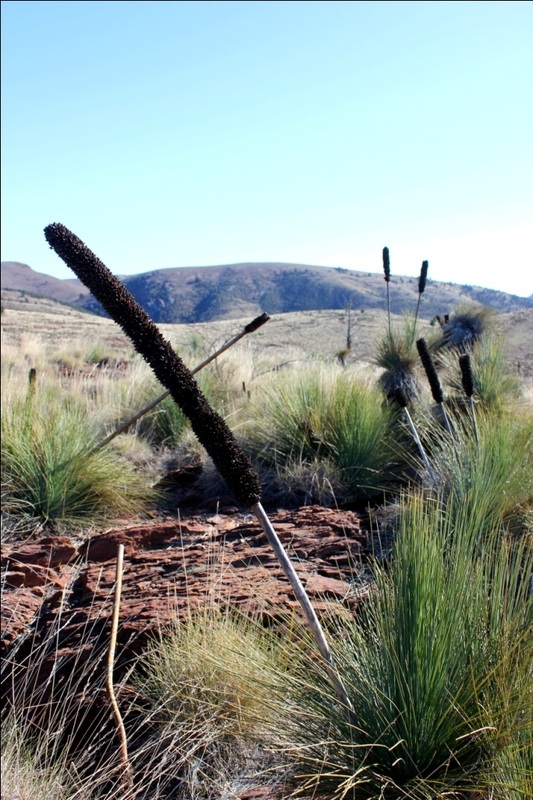 Argadells is a private property about 360 kilometres north of Adelaide in the beautiful Flinders Ranges of South Australia. 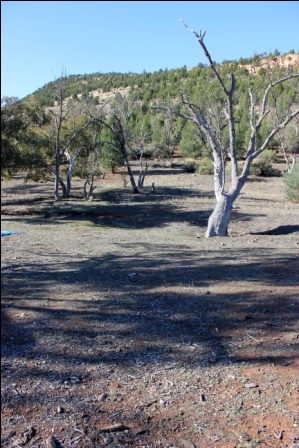 It is a massive property incorporating some amazing gorges and Mount Arden, this is a great spot to camp and absorb the beautiful terrain of the Flinders. There are a few options regarding accommodation at Argadells. The property has cottages, cabins, caravan powered sites and camping. The first 3 options are all close to the main homestead and all relatively close to each other. 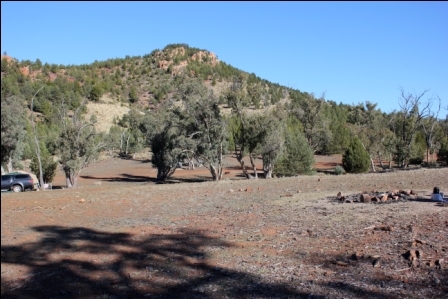 But the best option in our opinion, and the one that will give you the most typical Flinders Ranges experience is bush camping within the property. There are a number of camping sites throughout, but camping is limited to protect the environment – so you must book beforehand to ensure there is a spot for you. After paying at the homestead you will be directed by the very friendly owners to a site that they think will suit and is unoccupied. Or discuss with them what you are looking for in a campsite and see what is available. Driving to the distinct campsite areas (which are spread out) is via 2 gates and over some narrow and rough tracks. 2WD cars could do these roads – carefully. In wet conditions, I am not sure what it would be like for 2WD, but the Flinders does not get much rain, so you could be in luck. 4WD preferred though. Camper trailers can get to the campsites, but I doubt a caravan would manage. Definitely check with owners before attempting. 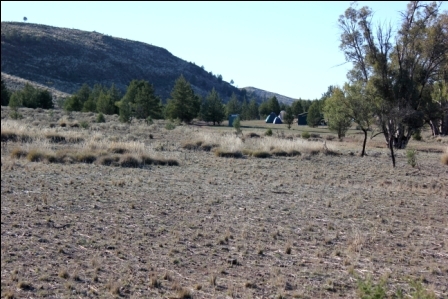 Wherever you camp within Argadells you will be surrounded by the beautiful hills of the Flinders. We camped in Woody’s place, which was in a large open grassed field, surrounded by pine trees on the foothills and 2 dry creek beds. Another 2 campers were already there when we arrived, but as it was a large area, we were able to keep some distance from them and not intrude. There are creek beds running throughout the property and to see them all full with water would be wonderful. But it was very dry when we were there as the photos here will show. We had wonderful weather during the day, and the nights were clear so the sky was a mass of beautiful stars. Morning temps were -6 (in June) and it was freezing. Everything outside froze - the ground was covered in thick white frost as was everything left outside the tent, the car had layer of ice on it and it was not until the sun moved higher in the sky that everything and everyone began to defrost. If travelling in winter, ensure you really do bring the right gear and clothing for this cold. To find out what out more about gear, click here. Or if you are a new camper , click here to find out more about essentials for camping. Once you head to bush camping, facilities are sparse. There is a drop toilet (with solar light at night) at each main campsite. Condition is quite good. Got smelly on day 2 of our stay with 3 camp groups using it. There is no water available, so bring in all water you need (we did not know that, and were running low on day 3 of our camp trip). Fire pits are available – so campfires are allowed in those only. Firewood collection on the property is not permitted, so you must either bring your own, or arrange for the owners to bring some to your site (at time of writing $30 for ½ trailer, or $60 for double that). It was freezing when we were there, so we went through all our wood over the stay. If you want a shower, you will need to head back to the Homestead and pay a small fee to use some facilities. Whilst its not a long way back from most campsites, it all seemed too much bother for 3 days! But its nice to know that there is such an option if you need it. If you love hiking/walking, then you will love Argadells. Lots of little gorges to explore, hills to climb and plenty of room for the kids to run around. It is the best way to explore this part of the world – on foot. Hannaman Gorge and South Creek Gorge lay within its boundaries, and we particularly enjoyed Stevens Gorge. From our campsite, we climbed hills to take in the great views, and explored the gorges – all very manageable for children. Four-wheel driving is another big attraction for many at Argadells. You pay to do so, using your own car, and can travel on established tracks that are all over the property. Other campers we spoke to had done it, and said that some of the tracks were very tricky and challenging, and not for the inexperienced driver. We also saw lots of kangaroos (some very big grey ones) and the more rare Yellow Footed Rock Wallaby put in an appearance too. Definitely we would go back. We loved it. It is so beautiful and peaceful. 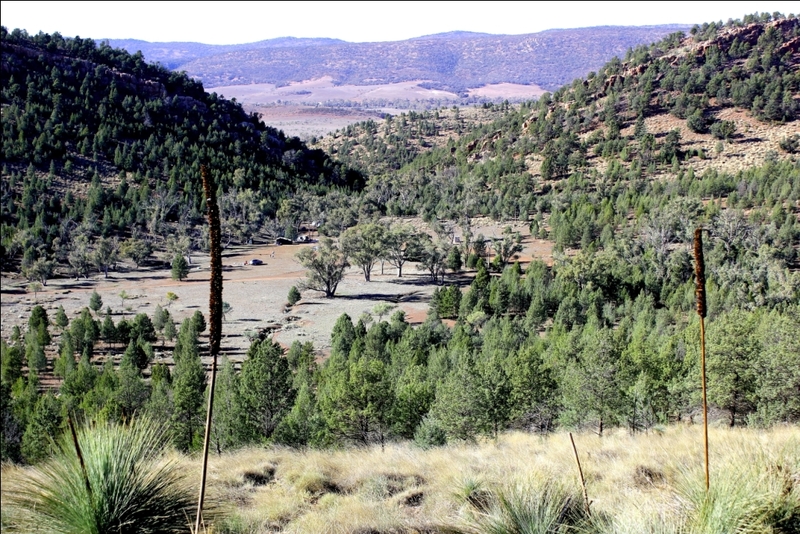 It is amazing to think that a family own this much property in the Flinders Ranges. Its huge! Great for children too. To get there: Located on the Ardenvale Road, approximately 28 kilometres north of Quorn. Quorn is an outback town 41km north-east from Port Augusta . Turn off Highway One at Stirling North (7km south of Port Augusta.) Alternatively travel from Adelaide via Clare (3.5 to 4 hours).